Square Inch Design's focus is residential design. Our mission is to create inspiring spaces that respond to a client's specific spatial and budgetary needs. As an advocate in the design process, we work collaboratively with our clients to identify project goals, develop concepts and translate their vision into a built reality. We are experienced in a range of project sizes, from bathroom and kitchen remodels to outdoor spaces and decks to completely custom homes. We provide custom kitchens and fabricated granite counters for custom and production builders, remodelers, interior designers, architects, home centers and commercial contractors. RWA Architects has been providing the highest level of quality custom residential architecture since 1989. The primary focus of our firm is to offer superior architectural services and design excellence to the client while providing full support to the contractor throughout the entire construction process. RWA is able to provide these services on both a local and national scale with an experienced and qualified staff of architects and designers that support the two principal partners of our firm. At RWA we make it our mission to practice both responsiveness and responsibility to our Clients, to possess a keen interest in design excellence and technical competency and to maintain a high level of cooperation, collaboration and sheer enjoyment in the architectural process. However, the hallmark of RWA's work is integrity. Professional integrity means knowing the difference between impractical dreaming and creative solution seeking. It also includes knowing what the balance is between borrowing from tradition and inventing new solutions to any challenges. And finally, it is simply our team being available, skilled and committed. In order to maintain the high level of satisfaction that we enjoy with our clients, our design process begins and ends with the focus clearly on them and their expectations. This is accomplished first, by listening and learning all we can about their needs, dreams and preferences at the beginning of the project. Next, by being attentive to their programmatic, aesthetic, budgetary and technical constraints and requirements throughout the project. And finally, by keeping open and honest communication to the completion of the project, making sure the priority is always client satisfaction. 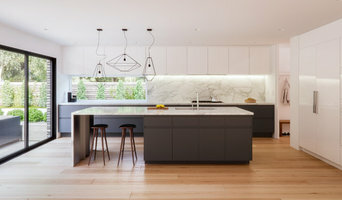 Mark Dunkley Architecture and Design, Inc.
Mark Dunkley Architecture and Design, Inc. believes that your home, office or renovation project should represent a lifetime of your experiences and passions. If designed with you in mind, it will become an extension of your uniqueness and individuality. At Mark Dunkley Architecture and Design, Inc., we take the time to listen to what you want, as well as what you don't want, to arrive at the ideal design for you. Kitchen Designer, working with cabinet manufacturer Oxford Cabinet Company. 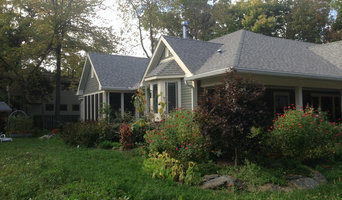 Pendery Construction is the premiere choice for all your home remodeling needs. 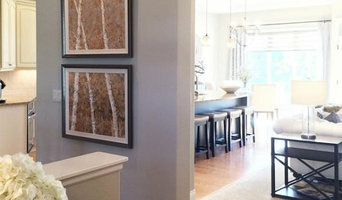 As one of Cincinnati's finest remodeling contractors, we specialize in design, consulting, construction and remodeling services including kitchen remodeling, bathroom remodeling, basement remodeling, bathroom design, master bath, kitchen design, whole home remodeling, covered porches, kitchen cabinets and bath cabinets. At Pendery, we understand your vision and we respect your home…simply put, we’re honored to be invited in.